Got the following email earlier today! So there it is! 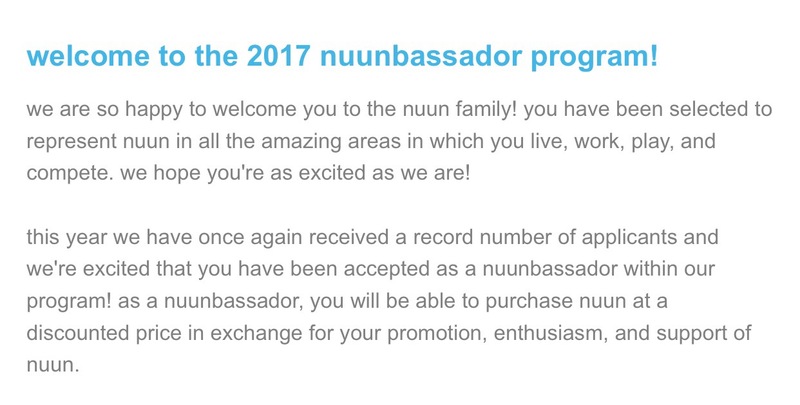 I am an Nuun Hydration Ambassador. I am a regular user of their tablets and like the energy from them. Excited to see how this relationship works out in 2017!